Everyone needs to understand the metric. Simplify it. The metric needs to be one that changes often, so that we can use it as feedback. Marcus shared with us a discount code for all that purchase his book until October 14th, 2015. Don’t miss it, purchase the book at http://bit.ly/theKanbanBook, and use the code scrumkan. 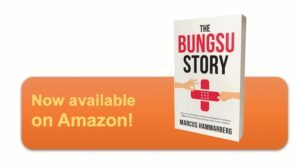 Marcus is the Author of Salvation:The Bungsu Story, a fascinating account of a real-life crisis, and how Agile, Lean and Kanban saved the Hospital from bankruptcy! Twice! Get ready for the journey, it’s going to be a bumpy ride! Marcus is a Software / agile consultant from Sweden on IT-sabatical leave in Indonesia, working for the Salvation Army hospitals there. And yes, using techniques from agile in that work even in non-software environments. One of those approaches he is using is Kanban, as Marcus is the author of the book Kanban in Action with Joakim Sundén, don’t forget to go to http://bit.ly/theKanbanBook, and get the book with the discount code scrumkan. “Step back and ask more questions” is a recommendation we hear often. 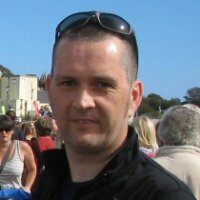 I this episode Jon shares with us how he came to that realization, and how that aspect defines success for his work as a Scrum Master.